Download the sheet here to answer before starting the hands-on construction side of the project. 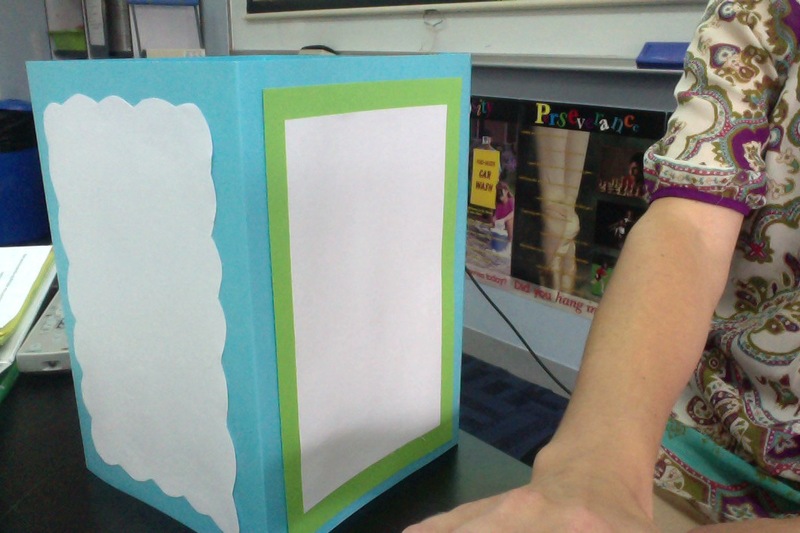 Take a large sheet of construction paper, fold it to make a long rectangle and then glue/tape it to keep its form. From here attach paper for each four sides to best display the answers to the origins sheet from above. Everything should be hand made and nothing from the computer or Internet to be printed. All materials can be found in the back of the classroom.